LEGO's BIG 50 SALE is here! Check it out on November 30 to December 2, 2018. Everything at 50% off! 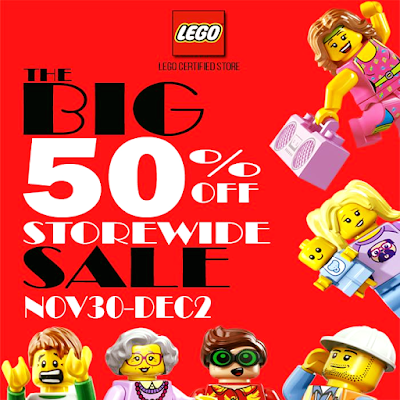 It's the WIDE, WIDE, WIDEST STOREWIDE SALE ever! 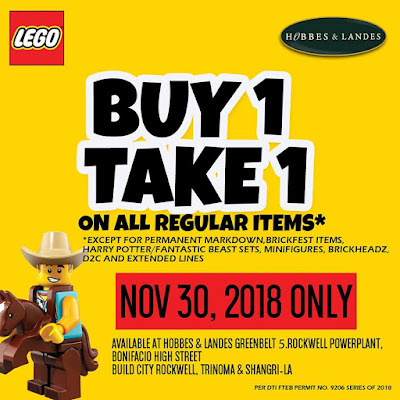 Promo is valid in all LEGO Certified Stores: BGC Park Triangle, Alabang Town Center, TriNoma, Ayala Malls The 30th, U.P. Town Center, Centrio Mall CDO, and Abreeza Mall Davao. 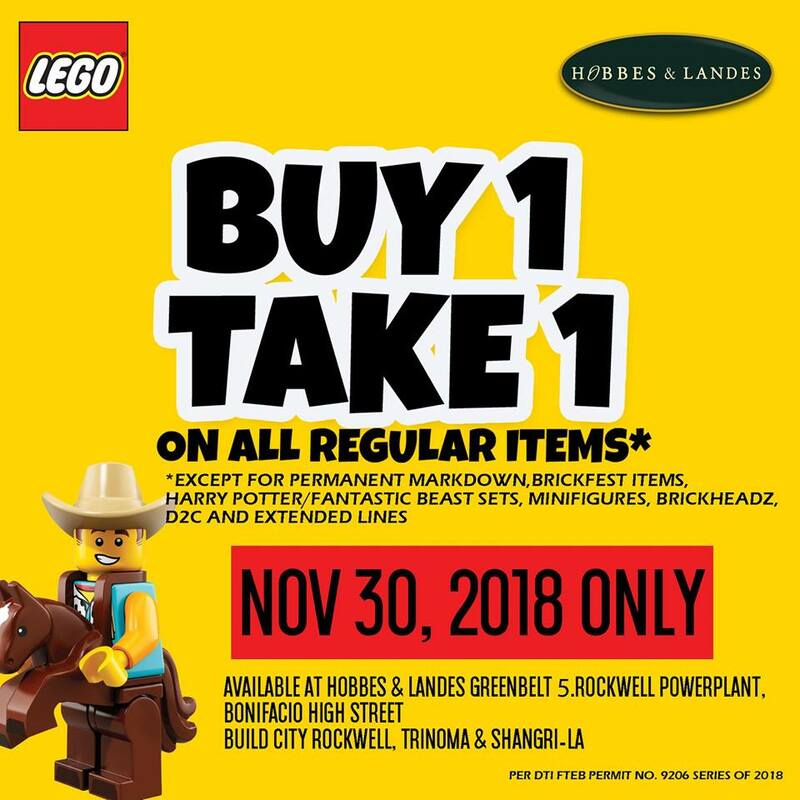 Get ready also for LEGO's Buy 1 Take 1 Promo on all regular LEGO items happening in Hobbes & Landes and Build City Stores on November 30, 2018 only!